Far East Energy Corporation has named Randall D. Keys to its Board of Directors. Keys is the fifth experienced energy industry executive to join Far East Energy's board as an independent director in 2004 and comes to Far East Energy with a wealth of experience as an energy sector financial executive. Far East Energy also announced the formation of Audit, Compensation and Nominating Committees all charged with the responsibility to finalize each committee charter by August 2004. These appointments serve to further the commitment at Far East Energy to impeccable corporate governance standards with the Board and management strongly committed to utilization of the recently appointed independent directors in these critical leadership roles. 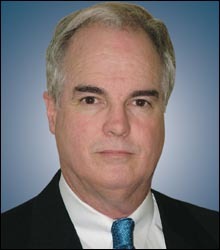 Randall Keys is a partner with Tatum CFO Partners LLP and has been a financial consultant and independent CFO since 2001. He has recently served as Chief Financial Officer of Transmeridian Exploration, Inc., a public oil and gas company with operations in Kazakhstan. Mr. Keys has over twenty years of financial management experience in the energy industry. 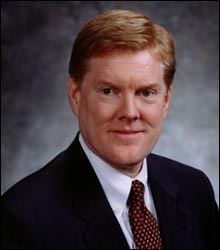 From 1998 to 2001, he served as Chief Financial Officer of Core Laboratories N.V., a NYSE — listed global oilfield service company and one of its acquired entities. Prior to Core Labs, he served as CFO for 3DX Technologies, Inc., a NASDAQ — listed oil and gas exploration company, Treasurer for Norcen Explorer, Inc. and in progressive financial management roles at Santa Fe Energy Resources and one of its predecessors, Adobe Resources. Keys began his career with the public accounting firm of KPMG Peat Marwick and is a Texas CPA. "Randall Keys will be a tremendous asset to the company as we organize our audit committees and adopt an appropriate corporate governance committee structure," said Michael McElwrath, Chairman and CEO of Far East Energy. He continued, "This addition of an experienced financial executive to our board allows us to create the type of highly capable Audit Committee that is so important in today's corporate world." The company also announced the board members who will serve on each of the corporate governance committees which includes the following: Audit Committee - Chairman Randall Keys, John Mihm, Thomas Williams; Compensation Committee — Chairman John Mihm, Thomas Williams, Thomas Cavanagh; Nominating Committee - Chairman Donald Juckett, Thomas Cavanagh, Randall Keys. Each of these committees is comprised of independent directors who have been added to the board during 2004. "Our independent board members are all drawn from the senior ranks of the international oil and gas industry, and they are all committed to playing an active role in assuring that we achieve the full potential of our prospects in China," said McElwrath. "They are not only engaged in appropriate corporate oversight, but have already had significant impact upon our technical program and field operations. We have over 1.3 million acres of coalbed methane acreage in China, and these gentlemen will have a direct impact on the steps we take to develop the maximum value of these assets." Based in Houston, Texas, with offices in Beijing and Kunming, China, Far East Energy is focused on the acquisition of, and exploration for, coalbed methane through its agreements with ConocoPhillips and China United Coalbed Methane Company (CUCBM). © 2004 Simplex Knowledge Company. All Rights Reserved.